Thus, with the new 60 m allocation, these radio waves started to tickle. 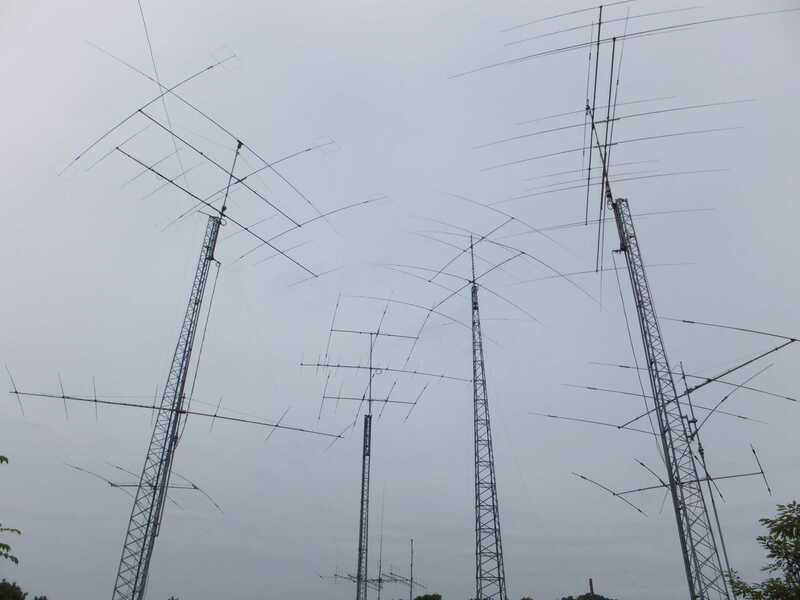 In November 2015, I became active again after a long period of being practically QRT. A dipole for 60 m was quickly erected and I was ready to go. Over time, the dipole was modified somewhat, mainly trying to reduce man made noise. Best results were obtained with a commercial 1:1 balun, so I left it that way for some time. 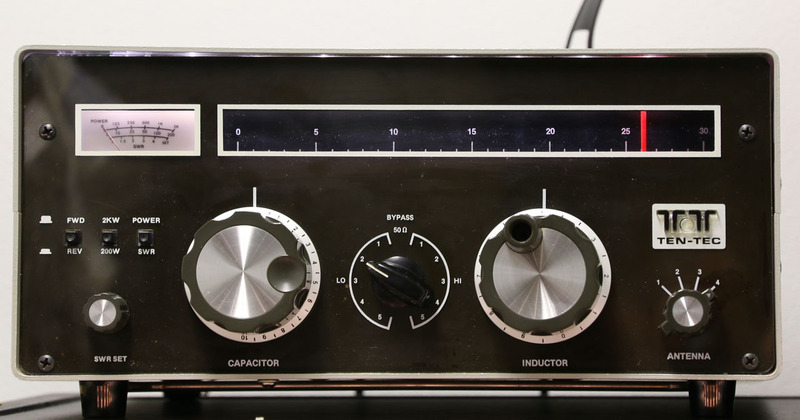 The traditional HF bands never had much appeal to me, but after experiencing the capabilities of JT modes, the old bands gained interest. Looking for a “one size fits all” solution, I decided to try a doublet (or double Zepp if you like) with a balanced feeder. A tuner was needed and I ended up with an old school TenTec 229 tuner. Of course, there are better ones, but I simply do not understand those who buy something expensive that will usually be marginally better than simple alternatives. Or are we talking about other objectives, like prestige instead of station performance? But back to the tuner, instead of buying a $800 Palstar, a second (+?) life TenTec was acquired. Built during the 80’s and having read some reviews in the tune of “built like a tank”, it did not look like much of a gamble. It had two problems, though. The bulbs to illuminate the scale and meter were defective and it soon became clear that the 470 pF capacitors were unstable. An article by N6IE indicated that this was a structural problem. 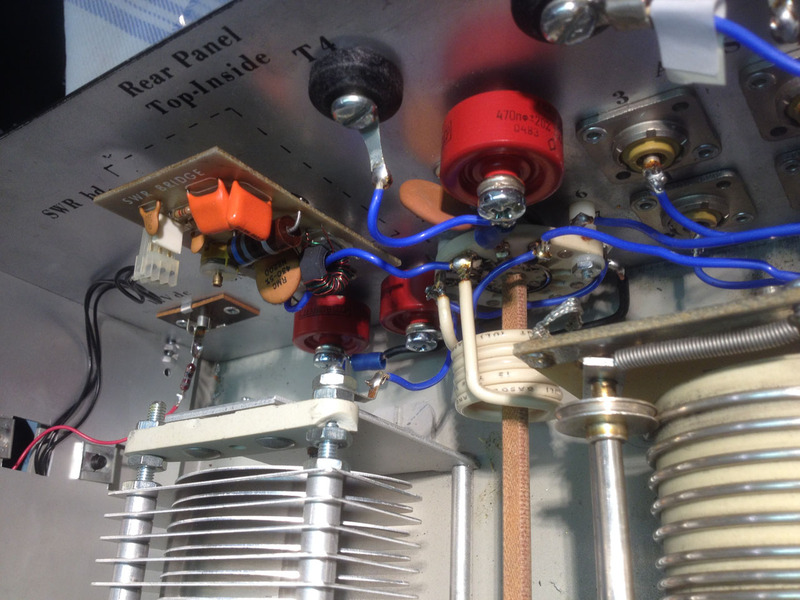 An internet search soon led to surplus Russian doorknob capacitors with 12 kV rating. Instead of looking for new bulbs, the illumination was modified with contemporary LED lighting. I had some spare LED strips that run on 12 V and had exactly the right length. With some power glue, the strip was attached to the top cover. 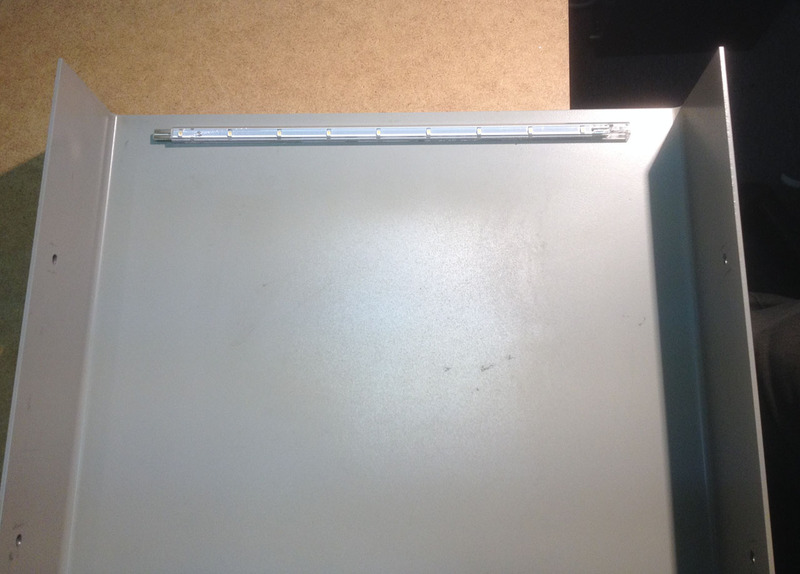 The strip has a connector for the 12 V supply, so when lifting the cover, simply remove the connector. I am using an old 15 V linear (no noise!) supply (which is used for my 4 m transverter) and to reduce the voltage to about 12 V, a 68 Ohms resistor was put in series with the supply. This instead of the original resistor that was apparently meant to increase the life of the light bulbs. The bonus is, that it looks very nice (and may even beat the original) and is A+ with regard to power saving:-). After receiving the Russian capacitors, it took a bit of hassle to get these installed. I took the N6IE article as a guideline, but mounted the capacitors on the back panel, because it was easier. I also noted that the rear panel is the common ground and wanted to avoid extra inductance. Instead of four, I installed three of them. If additional capacity is needed, I can connect the spare capacitor to the “extra capacitor” terminal on the rear panel. Of course, four capacitors can be installed, but in my situation, this works fine. 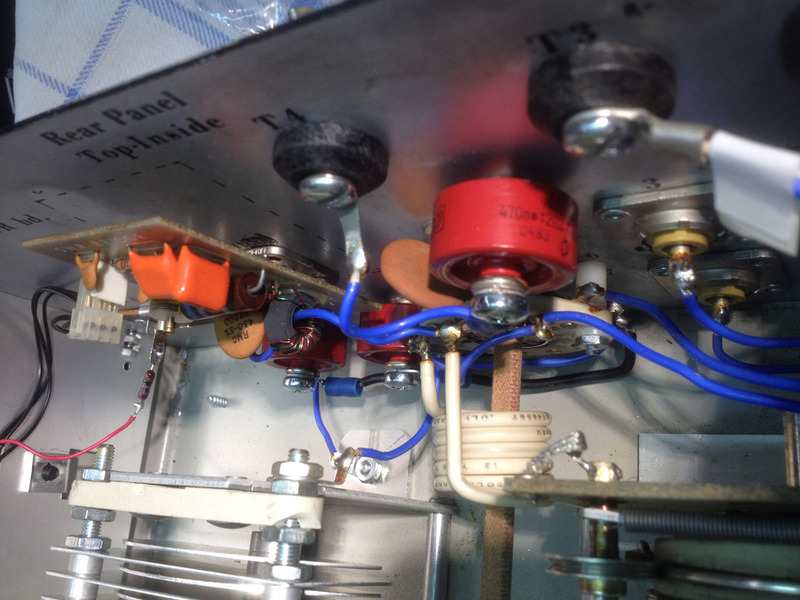 Two capacitors were mounted close to the switch, the third was placed next to the external capacitor terminal T4 and connected to it, so no need for an additional wire to the switch. It has to be noted that the order of the capacitors that are added is reversed for the HI and LO positions of the switch, so the switch positions with the same capacity are no longer mirrored. I can only say: it works perfect. The instability has gone, it is now rock solid. It even tunes my doublet to 160 metres, which it refused before the modification. I could not test it, but I expect it to handle the rated power with ease. The settings, once established, can easily be reproduced. It was noticed that weather conditions (dry/wet/snow) have an effect on the antenna, but it only takes some tweaking to get it right. Of course, there are better performing antennas, but I think that the cost/performance ratio is hardly beaten. I wanted to get an idea how the antenna worked, so I took part in the CQWW CW 2016 contest. During the contest, I worked nearly 100 DXCC entities in one weekend, with 100 Watts. To me, this is more rewarding than spending a lot of money, ending up with a lot of frustration of missing multipliers. I appreciated to be able to work interesting DX on 80 and 40, with gratitude to those who activated some rare entities.